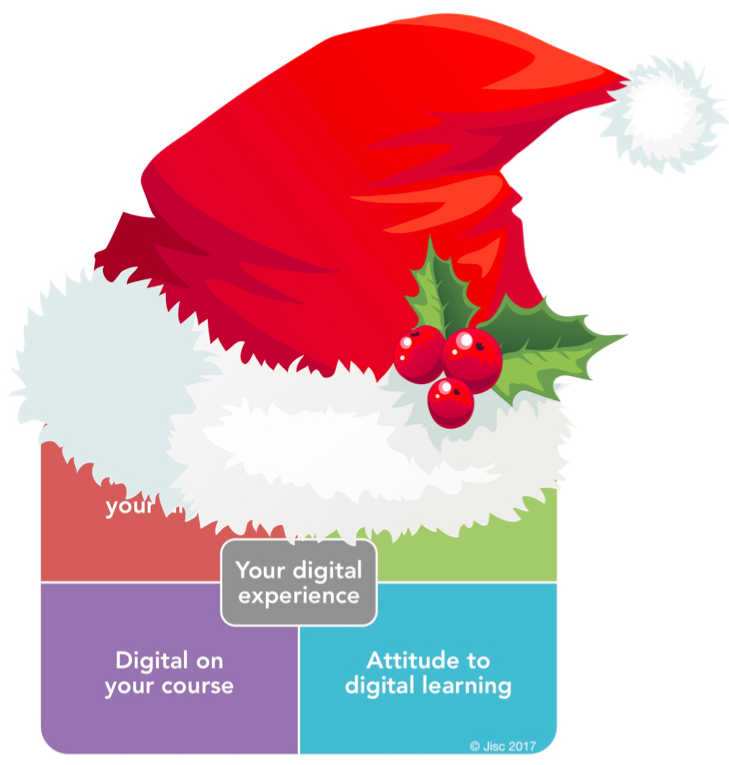 Wishing all our Tracker contacts and institutions a Merry Christmas and a very Happy, student-centred and data-rich New Year! Thank you for all your interest and support in 2017. We look forward to even stronger data and findings from the Tracker in 2018, and working with you to understand and support the student digital experience. In the last few weeks we have run a number of webinars for late sign-ups to the tracker project, many of them from outside the UK. If you missed these and would like a chance to review them, this recording from December 14th covers the background, basic information for getting started in BOS, and some information about the staff tracker (see further on in this post for more). In case you miss our regular updates over the Christmas break, there’s some background reading to catch up on. A recent blog post on engaging students in the tracker has ideas for every phase of the project, especially for promoting and completing the survey. There’s also now a quick guide to customising and launching the tracker, if you feel confident enough with BOS not to need the step-by-step guide – though this is also available from the same post. We have two important updates to announce as 2017 draws to a close. We’ve been asked a number of times for support with promoting the Tracker, and we’re delighted to offer a number of posters and flyers you can repurpose with your own organisational branding. These will be available from the start of January to download and use. We’ll continue to share great designs and promotional ideas from across the project, so there is no need to curb your own creativity. And as promised, we’ve produced a first draft of questions for teaching staff. The rationale for developing these will be available on this blog in early January, along with a draft set of questions for comment, and details of how you can get involved in piloting them. We spoke about this initiative at the ALT online conference in December, so if you can’t wait until the new year, more details and a link to the draft questions are available now from the ALT online conference session. We hope you have a very restful Christmas and look forward to working with you again in the new year.